There is a rule in technology. Engineering is the Art of Compromise. This rule applies to the sound as well as to the picture. It applies to the equipment that creates sound and picture. It applies to safety equipment and the carpet that we walk on. It means that there is always a trade to make between speed or size or cost or portability, or the push to be the greatest or even the cheapest. Maybe you want more light on the screen, but that will give you more scattered light too, and that is not a good thing. Or you think, OK, I won’t let it scatter, I’ll direct the light using curved screens and screens of different materials. But directing light will bring you ‘hot spots’ and that can be worse. We are surrounded by the decisions of designers who have to balance these things everywhere in our daily lives. There are machines, tools really, that will test light and sound. They are usually very expensive, and they require very trained people to set them up and use them properly. These people must then take the tests properly and then read the results properly. So, it isn’t only that the equipment costs 15,000 to 30,000 dollars or euros. They also consume expensive technician time. So, that is the trade-off, the compromise. We can the projector and screen perfectly calibrated every week, or month, or 3 months or 6 or 12. We just have to pay for it and the people to run the equipment. Which doesn’t seem horrible, except that there is only so much money coming in from the sale of tickets and popcorn and sugar-water. One of the compromises of digital cinema was that they make a fine picture without a lot of employee interaction, but they are incredibly expensive compared to the film projectors that used to cost ¼ as much and lasted 50 years. How many computers do you know that last even 5 years? 10? Well, how about the 6,000 euro or dollar units? The quality might not be as good as they real expensive ones, but are they are good enough for some purposes? Sure. But again the compromise. How often does something go bad, and how bad are the effects of that happening? Maybe a show is lost for a day, or more rarely a week. Is too much red in the picture or a rattling speaker going to make the people leave? Will they notice? Will they say something, perhaps ask for a refund? Or will they notice and just never come back? The compromise is that it isn’t worth buying even a less expensive unit, and leaving it for an untrained person to lose or break. There is some equipment that doesn’t cost as much and doesn’t need any human intervention, but they are quite weak in abilities. So, this is where we come in. We have over a million sensors in each eye, and almost 25,000 detectors in each ear. We may not be able to count wavelengths and levels with as much exactness as a microphone and color sensor, but if we learn how to look and listen, we can do what the job requires, and we can be aware of things…we can report things…even some things that a machine just isn’t able to do. And, get this, the phone we carry around is able to give very accurate clues too. …as long as we are aware of the compromises, because …everyone repeat…Engineering is the Art of Compromise. Let’s take another break to learn a little more about color. 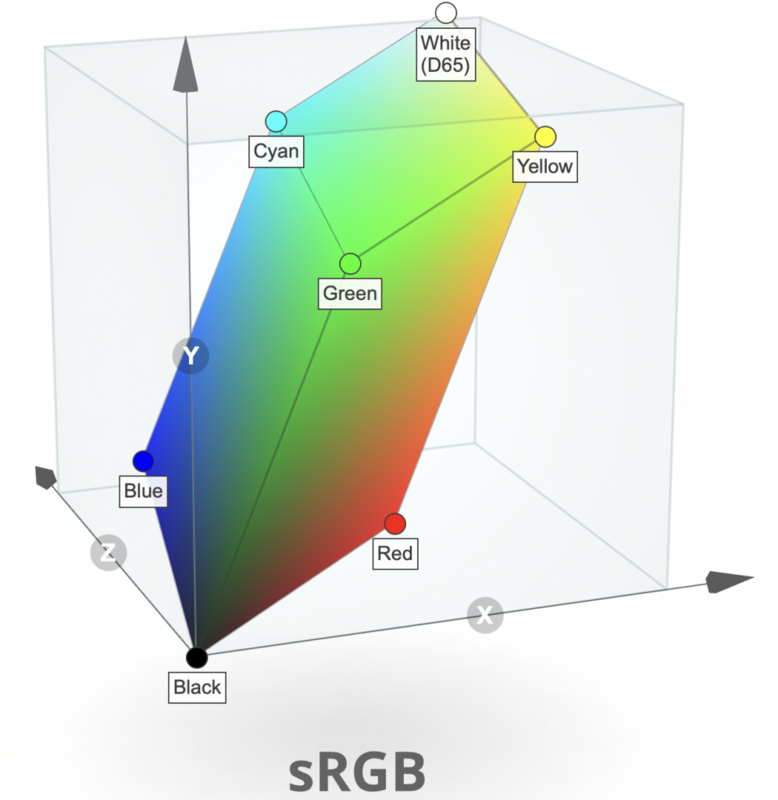 This time we will go to a site that has great comparisons of different color spaces. Imagine a world in black and white, with a few shades of grey. You really don’t have to imagine that. Go into a closet or wander the halls when it is dark. At some point it is so dark that there is no color, but you can see several different shades of black and grey. At some point you can only barely see your hand in front of your face. That point is 2 colors. Black hand, one tone of grey surround. Sometimes we will see this in the movies, and the director will pop a single color into the frame…a red or a blue. How deep is that red. Bright? or Dark? How many shades of that one color are there? 10? 100? Probably, the computer in front of you can show you 256 shades of red, 256 shades of green and 256 shades of blue. Combine that all together, that is a lot of combinations. But some screens can show many more than that. Because computers usually double things as they progress, the next step up is 512 steps of green and red and blue. Then, 1,024. Ah! Gotta answer the question, “Who cares?” Because really, we are looking at a page that is only maybe 1,000 pixels wide. The answer is, no one cares when the screen is only a thousand pixels wide. Well, maybe someone who spent a lot of money on a jacket that goes from deep deep blue to kinda deep blue. Or the director who wanted to show the colors of the sky in the sunset. Stretching out that small range of colors with only a few choices is very difficult and causes what is called “banding”. 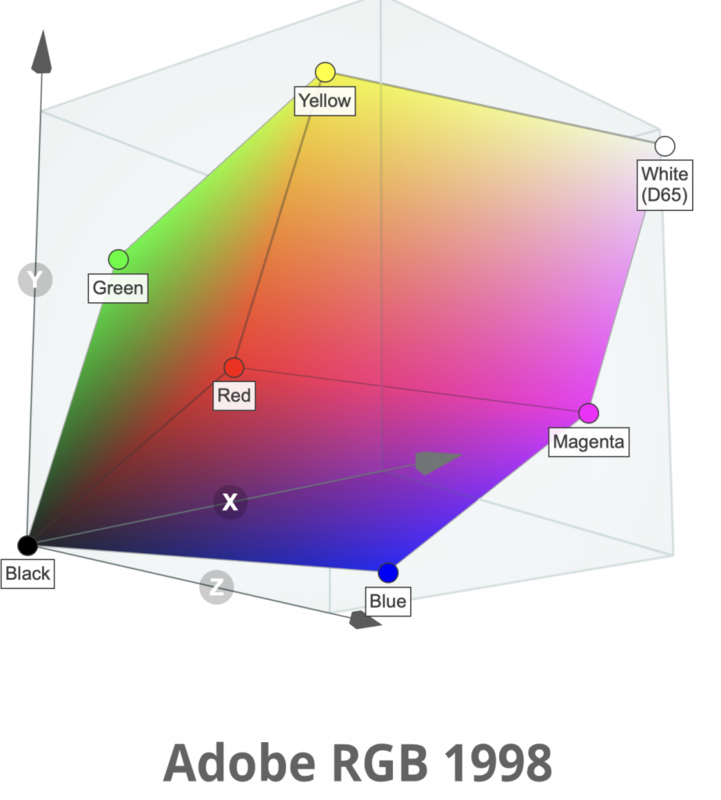 The standard for the projector and screen in the cinema theater goes past 1,024 per color, past 2,048 per color, all the way to 4,096 shades of red and green and blue. So when you watch Lawrence of Arabia on the big screen, it doesn’t look like it does on YouTube or Vimeo. Let’s look at this together. The big shift from darkness to sunrise in this clip shows some amazing things. You can find copies of this that look incredibly bad. Instead of being a smooth range from the brightest orange to the darkest. If it was a painting, the artist would be blending the colors on the pallet very cleverly. 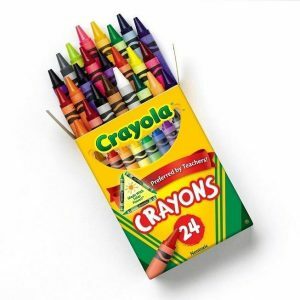 Me, I would try with a few crayon colors and give up. But Hey! 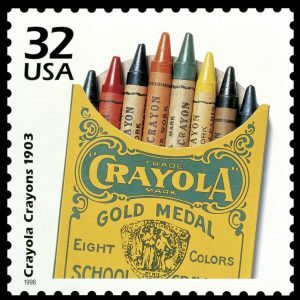 Maybe crayon colors is a good comparison comparison. Imagine drawing the screen below, before the movie starts. First, the black surrounds. Then, in the top corners almost a grey-brown, then for the brightest part a dark orange. So, could we make that with a combination of black and orange? 2 colors is all we need. The color pallet is 2 colors but the range is …oh, look closer…the range is blotchy. The closer you look, the more that you can see that there are blocks of colors that trade off being dark and lighter, but not a pure gradient. Seems like the science people have figured a way to trick the eyes. They call it, adding noise. Imagine trying to create the first shot of this sunrise with the first box of Crayola™ crayons. You may be able to do it, but when the movie plays and the sky gets brighter and the colors get more complex, it sure would be nice to have a bigger box with more choices! OK; Road Trip! The next time you can, go to the Apple Store and stand in front of an iMac with the 4k or 5k screen. Go to the following website and look at the first example. Move the bar back and forth. Now, for a last distraction to give another view of color spaces, let’s go to Wifflepixel again. Notice that the ‘box’ of colors are larger in one than the other. There are actually 4 choices, and there could be 6 or 10. The important part is that you should know that movies are shown in a color space named P3 which is pretty large, which means that there is a large pallet of colors for the director and cinematographer to use. This means more lighter and darker blues, and lighter and darker reds and lighter and darker greens…and when mixed together, lighter and darker yellows and cyan and magentas. Cinemas have one more specification in their pictures that not only give them more colors than a typical TV, but deeper colors. We will get into that later, but small steps, eh? There is one thing that a computer based device is that we are not. Consistent. If we ask it to make a measurement every day at 6AM, it will. We get distracted by other chores, or being tired of other chores. Life sometimes throws us a variable; the car doesn’t work, the this, the that. How does our carbon-based/oxygen-buring body compete with the silicon-based electron eating computer system? We just have to get through our checklists with a DCP playing in each room every week. Each slide of each test DCP is actually a different tool. The first time we see the different slides, we won’t know what story each one can tell. But after a while, you may think, “I never noticed that line going across the picture being jagged…or not as bright…or blurry.” You may not be sure of yourself the first or second time you see it. No one is until they have see or heard something several several times. But any of those things are a perfectly good observation to pass on. And if you are right, learn to be sure of your awareness in the future. And if you are wrong, ask the technicians how you got it wrong. You may have been perfectly correct in your observation, but not correct in the significance of the observation. No big deal…it is part of learning. You are trying to make their life easier and more efficient. The following picture is something that you will see a number of times, perhaps in different variations. 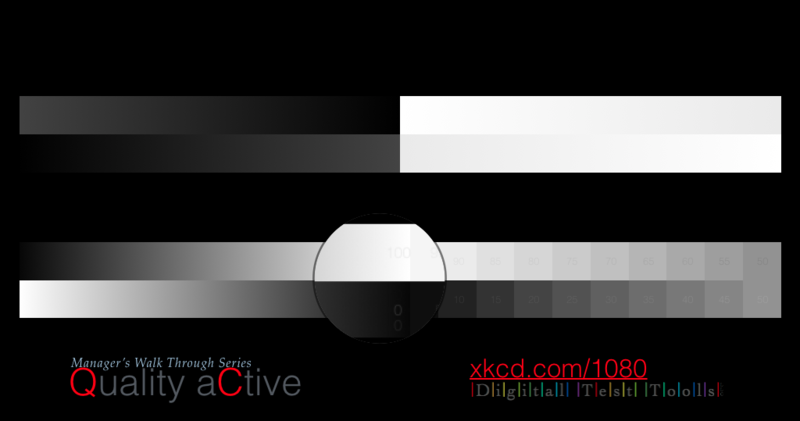 The top bars are two gradients of 90% to 100% black and 100% to 90% white. The second bar has the two gradient reversed. What can you do with them? Basically, they should be perfectly smooth – you shouldn’t be able to see any steps in the gradient at all. The same is true for the left side of the lower bars which are a set of 100% black to 0% black (which is also 100% white of course) and below it is the reverse. There should be no steps, and the difference with between them and the difference between the black background should be clear. The magnifying glass won’t be on the master. But it is there to show where you should see 3 sets of the numbers ‘100’ and ‘0’ if the projector is set up well. If you don’t see numbers at all, then there is a problem to report. You might report only 2 showing, and the tech may tell you that this is the best that a certain projector can do. But, the tech might also point out that a different machine should show 3, and you should point it out when it doesn’t. You might also use this slide to help detect bulb flicker. Bulb Flicker is the effect that happens as a bulb in the projector gets old. Sometimes, it won’t be old, but mis-aligned. If you can catch a bulb that is misaligned before it completely damages itself, which will give it back hundreds of hours of life instead, you have saved hundreds or maybe thousands of money units. Sometimes you won’t notice bulb flicker when directly looking at a slide up close, but if your head turns to the side a little you will notice the fast pulsing or flickering. All bulbs do it as they get older. Customers may not notice it, but they will be annoyed by it as it can make a person uncomfortable. Let the tech know when it gets pretty strong. You may notice in the boxes that it seems as if the colors at the edges of the little squares are darker than the box itself…like there is a ramp at every one. But if you get close and really look, you will see that they are perfectly flat in color. This is the Mach Effect. It is an optical illusion. Inside the boxes is only one number, and you should be able to see it. Technically, on the top row the number is 5% darker than the shade of the box, while the bottom row is 5% lighter than the shade in the box. 50% is repeated at the far end, with one of each on top of each other. If you can’t see the difference between two boxes that are 5% apart from each other, that would probably indicate a problem to mention. That could mean the contrast is getting worse. 95% and 100% should not look the same. 90% and 95% should not look the same. The same for 0% and 5% and 10%. This blown up example won’t look as good on your computer monitor, but it will hopefully look great on your movie screen! Here is a different thing to look for. In this shot you can hopefully see that there is a 1% difference between the different diamonds of the slide. The circles should have a nice bright dot in the center, not grey! OK; that’s a long enough lesson. Get out there and start looking – hopefully it will be more fun than all this reading. But maybe come back after a week of observing and read this again in case you missed something.